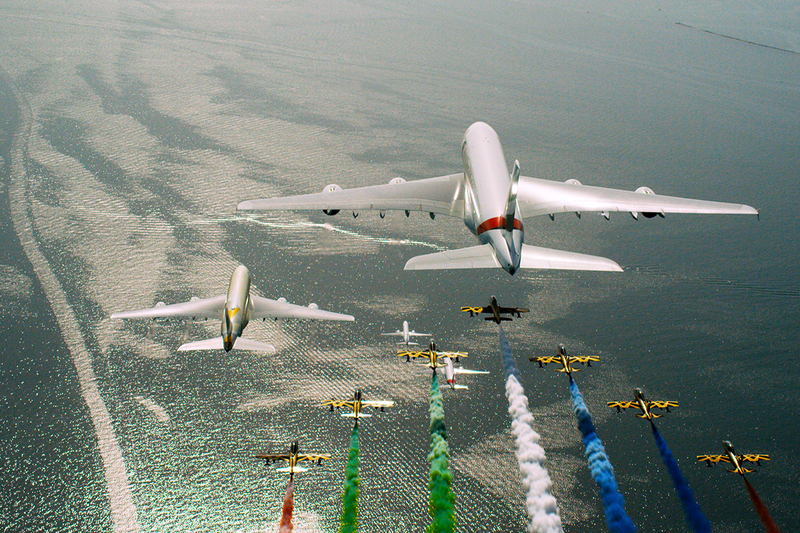 Dubai: Emirates, Etihad, flydubai, Air Arabia and Al Fursan took to the skies in unison on Sunday, December 2, to celebrate the UAE’s 47th National Day, as well as commemorate the legacy and values of Shaikh Zayed, the UAE's founding father. 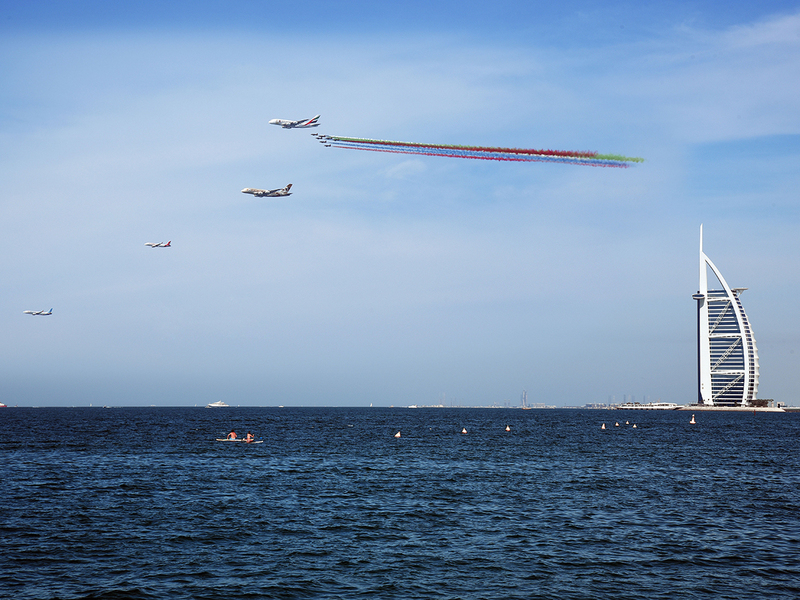 The late founding father of the UAE dedicated his life and leadership to unify and shape a better collective future for the nation, and Sunday’s formation flight is a soaring display of unity as all four carriers showcase the UAE’s aviation success story to the nation and world. 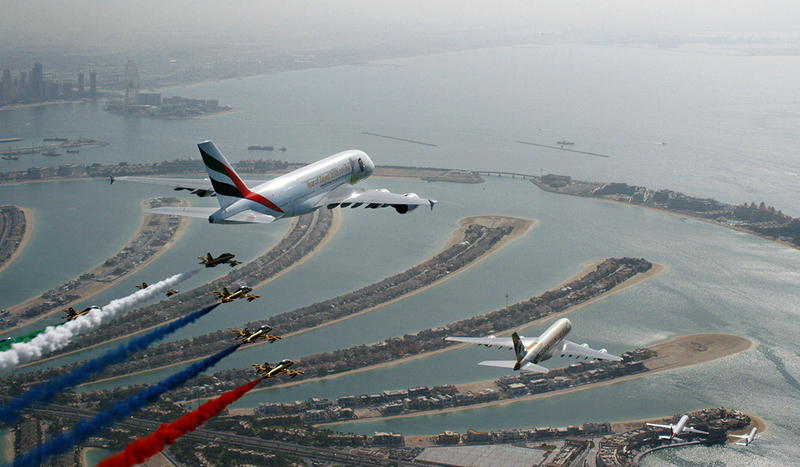 The spectacular flypast — a world-first and a UAE civil aviation milestone — involved over 11 aircraft: a flydubai Boeing 737 MAX 8 (Zayed 1), an Air Arabia Airbus A320 (Zayed 2), an Etihad Airways Airbus A380 (Zayed 3) and an Emirates Airline Airbus A380 (Zayed 4) — as well as seven Al Fursan aerobatic display jets from the UAE Air Force. 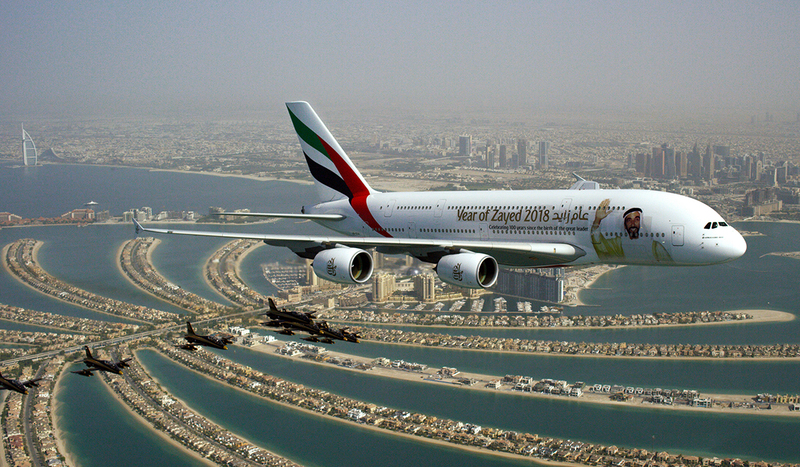 All of the commercial aircraft within the formation were emblazoned with ‘Year of Zayed’ decals. This is also the first time this unique combination of aircraft types fly in formation. 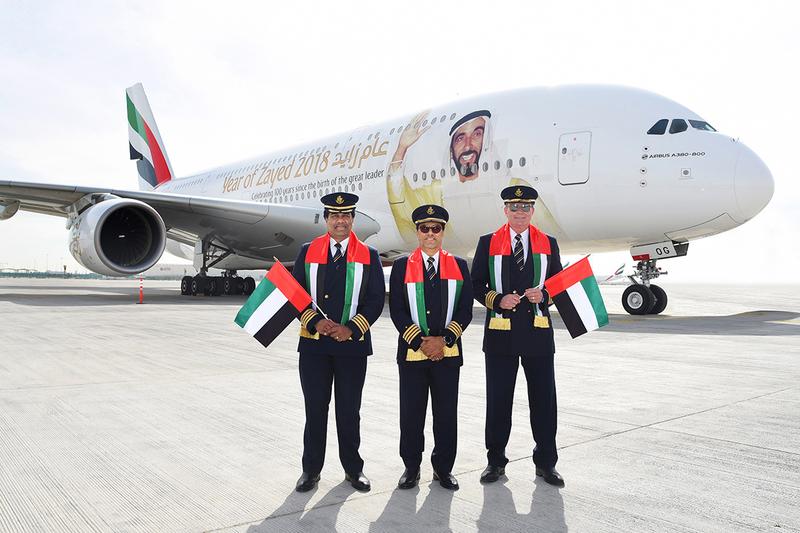 The aircraft were proudly commanded by Captain Adrian Smith from flydubai, Captain Nadhem Al Hamad from Air Arabia, Captain Richard Dyson from Etihad Airways and Captain Abbas Shaban from Emirates Airline. The Al Fursan team was led by Lieutenant Colonel Nasser Al Obaidli. Mohammad Mubarak Fadhel Al Mazrouei, Chairman of Etihad Aviation Group, said: “Today our nation celebrates the 47th National Day, a day we celebrate the achievement of the vision of our founding father His Highness Shaikh Zayed to unite the seven Emirates. 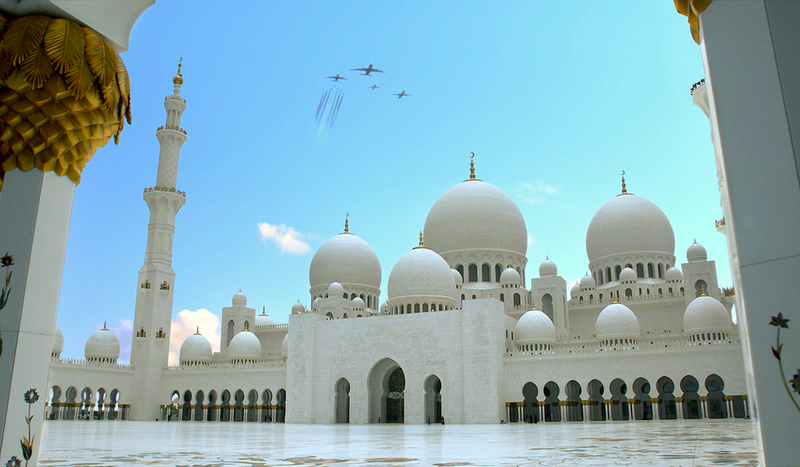 In the Year of Zayed, we are very proud to witness this historic flight formation which resembles the vision set forth by our founding father. 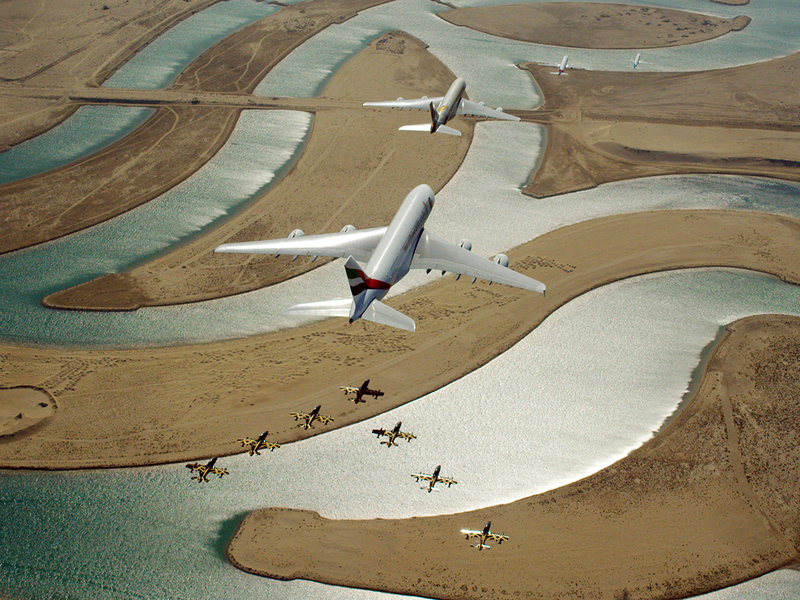 Our Emirati carriers flying across the seven Emirates in this formation represents the spirit of our union, and demonstrates the economic progress our nation and aviation sector achieved in less than half a century through connecting over a 100 million travellers annually to 500 destinations globally. Adel Al Ali, Group Chief Executive Officer of Air Arabia said: “It gives us a great honour to be part of this remarkable formation display dedicated to the Year of Zayed and while celebrating the UAE’s National Day. 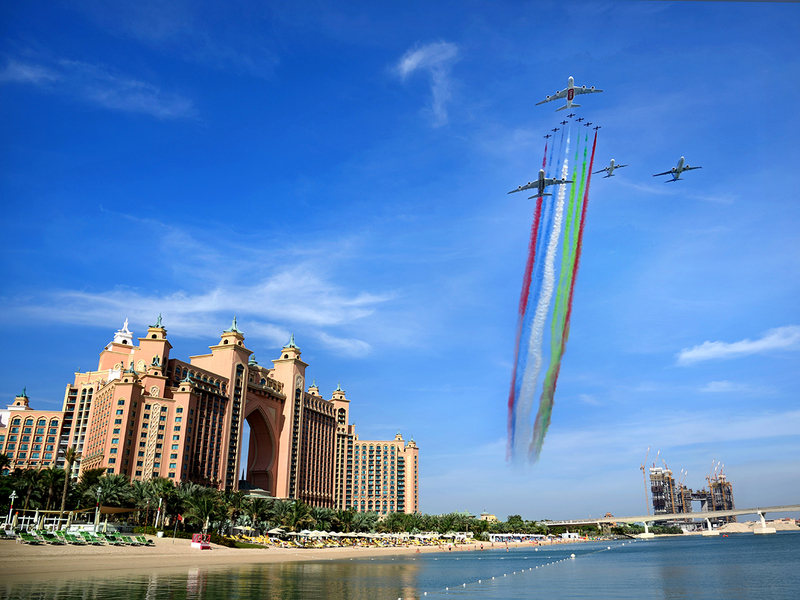 This unique flight formation display reflects the unity, leadership and the forward vision of the UAE. It gives us a great honour to be part of this remarkable formation display dedicated to the Year of Zayed and while celebrating the UAE’s National Day. 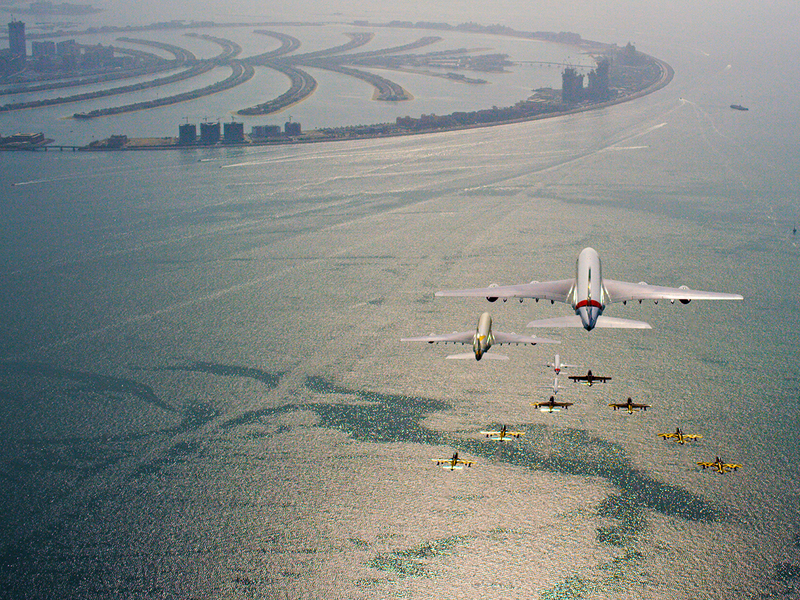 This unique flight formation display reflects the unity, leadership and the forward vision of the UAE. 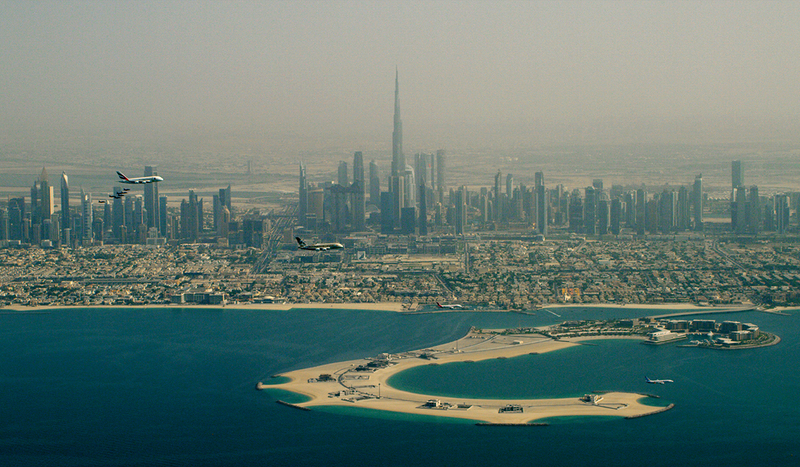 Saif Mohammed Al Suwaidi, Director General of the GCAA said: “In this historical formation flight, The GCAA ensured that communication and coordination was carried out between all pertinent authorities and stake holders to ensure that flight details were established and the route flown would avoid all departure and arrival lanes, thereby guaranteeing uninterrupted routine airport operations. All stakeholders worked together to identify suitable locations for the flight formation patterns, taking into account air traffic, areas overflown, route planning, visibility, and potential wind and weather conditions. 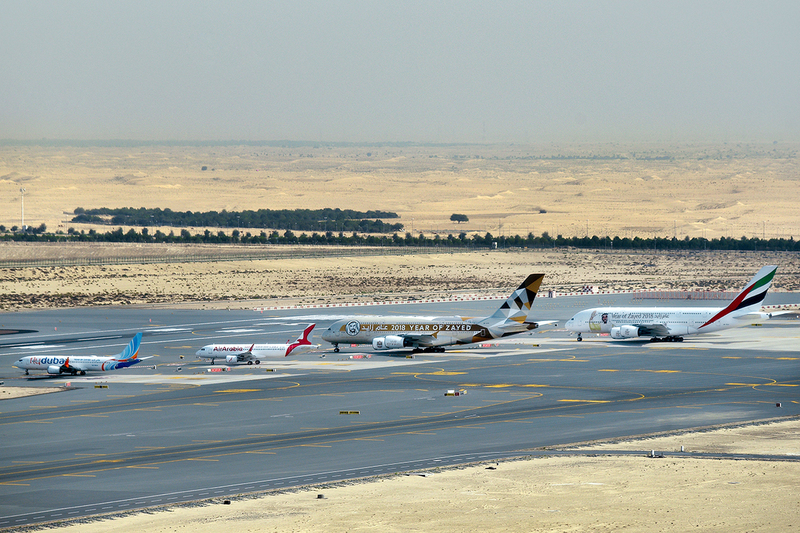 The entire formation route was protected from any passing traffic within a Temporary Restricted Area controlled by the GCAA. Meetings were held to establish each airline’s position within the formation and precise visual reference points were drawn up so each aircraft could safely join and hold their plotted position. In addition, all pilots went through rigorous flight simulation exercises.